Dennis Treacy, a former Smithfield Foods executive vice president who now sits on the board of the Smithfield Foundation, first reached out to an official in EPA’s Office of Intergovernmental Relations last May to arrange the session as part of his role as the Chesapeake Bay Foundation’s citizen representative. Both Hart and Smithfield Foods issued statements Friday saying the meetings were not connected to official firm business. The New York Times first reported the new lobbying registration and the fact that a meeting took place. But the Times did not identify the date of the meeting, instead referring to an Aug. 1 session Pruitt also held with members of the Chesapeake Bay Foundation. 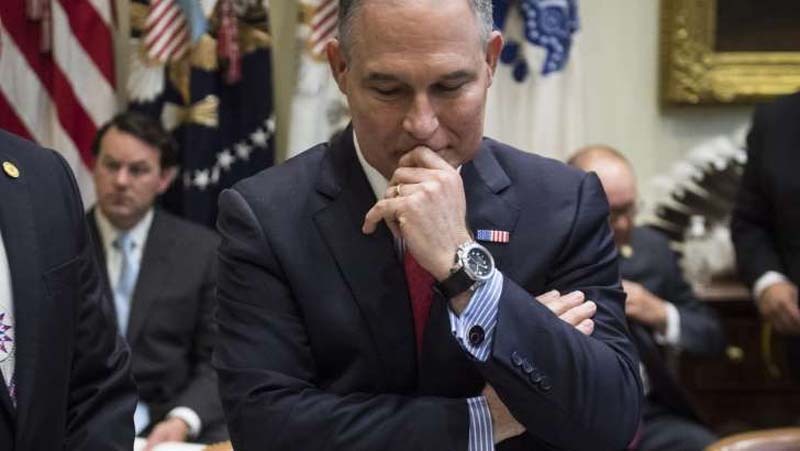 According to emails obtained by The Post, Treacy and Hart met with Pruitt in July. In an email sent July 10, Hart told Pruitt’s chief of staff, Ryan Jackson, that he would accompany Treacy.